Chua Koon Beng, the Chief Financial Officer of Spa Espirt Group, has spent five years to work on the artworks that pays tribute to the late Mr. Lee Kuan Yew. He named the exhibition Light and Brightness which is translated from Mr. Lee’s Chinese name. 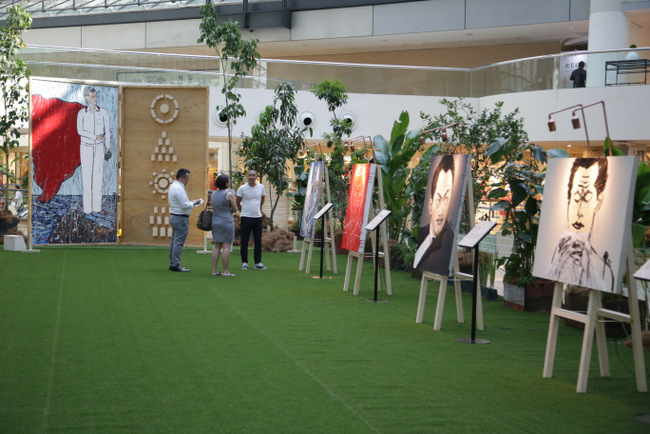 The complimentary exhibition is held at Level 3 Raffles City Shopping Centre Atrium till 27 August 2015. This is a show of seven art pieces for all viewers to pay tribute to the late Mr. Lee and appreciate and reflect upon his life’s dedication to Singapore, as well as the legacy and heirloom of the brilliant nation he left us with. Mr. Lee was Chua Koon Beng’s personal hero. Y/X, Mr Chua’s moniker, complete the series of artwork this year. The main piece of his artwork is Light and Brilliance, an oil and paint on canvas and wood. It is 360cm x 410cm x 7.5cm and portrays Mr. Lee as a visionary and our Superman hero who led the nation to its success today while continuing to provide guidance and directions for Singapore through the culture he has instilled within the Singapore DNA of incorruptibility and effectiveness. Do not miss out this tribute exhibition.